Sitting in the Munich Airport waiting for my flight back to Boston, it’s hard to believe that it’s only been two weeks since I became a student of the Winter School. In case you didn’t know, which in the case of normalcy most of you didn’t, for the past two weeks, I’ve been in Italy and Austria learning about federalism and multi-level governance with masters and doctoral students. It occurs to me now that I would give quite a lot to be back at the start of the school with the knowledge I have gained. Because it’s true what they say, once you study with people who are much smarter than you – some of that rubs off. I can recall almost with perfect clarity sitting in Boston Logan Airport with my heart beating like a snare drum and wondering why on earth they would choose someone like me. It probably didn’t help that the program sent the list of participants a couple of weeks earlier, and after looking at the rest of people attending, I felt woefully young. There were no other bachelors students, and I was the youngest by far. I remember sitting on my Aer Lingus flight and deliriously wandering in the Dublin Airport still pondering the question: Why me? After all, I do not have straight A’s on my transcript, and there are better writers, better students. What made me so special? I can say after a few weeks that I honestly don’t know, and neither do I care. Meeting people from all over the world, whether it be from Tibet or Amsterdam, made all the difference. Meeting people who felt just as confused as I helped for sure. I’m just glad now that I went. It seems crazy to think that after getting accepted, I debated canceling. I actually thought about declining an invitation to one of the best programs I’ve ever attended. Sure the program was hard. Of course I was absolutely out of my depth for an hour or so when we talked about EU Law and principles, treaties and god know what else. But that’s what made it so absolutely incredible. I learned that even though I may be just an undergraduate, as I looked around the room to watch the other students, we were all just learning. Why should it be any different for any of us? And after a few days, it became evident that I could keep up. I was just as capable as anyone else. And maybe after the second week, or just now: it’s occurring to me: I was capable. The program may have said it was for advanced students only, I may have been surrounded by people who were getting their second or even third PhD, but I was just as ready, just as logically prepared to take on the new knowledge. That brings about a sort of confidence, quiet confidence that I’ve never felt with such sincerity in my life. Sure I’ve always been told that I could succeed, that if I kept trying: I would not fail. But never have I really understood with every core of my being that I actually could. 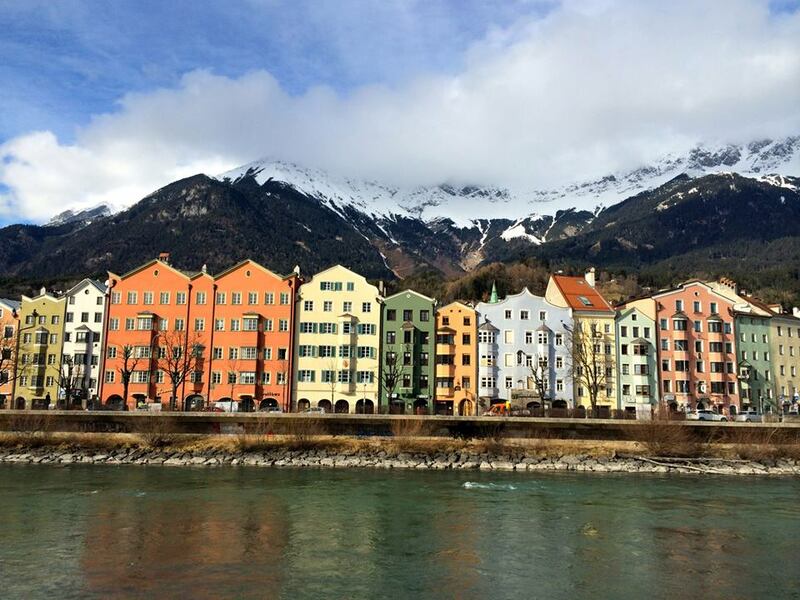 I also learned that Innsbruck, Austria and Bolzano, Italy are two of the most beautiful places in the world. And if you doubt me, I beg of you to go and see them for yourself, attend the Winter School, and be challenged. Because I think despite the troves of knowledge I have taken away from this experience, what I have really taken away from being independent for another two weeks away from school and truly faced with proving myself is that it’s worth it to challenge yourself. If you don’t challenge yourself, how can you hope to do better? How can you expect to exceed your own expectations? Moments like this, I remember that I gave a 10 minute presentation about security and Finland, and my peers (people 4 or 5 years, or ever 10) thought that I sounded like an expert on the subject. I remember that I became the leader in our federalism game, and somehow the other people in the group thought I was more than qualified to be the spokesperson. People really agreed that I was qualified. It’s worth it. If you don’t keep trying, you’ll never succeed. That phrase has never seemed so sweet.